Abajonai - In an era when some are of the view that young conscious musicians are lacking appeal, originality, creativity and substance, he is emerging as one that shall prove such assertion to be wrong. With hard-hitting lyrics, a small frame but powerful vocals, he is overflowing with appeal and creativity. His name (pronounced ABA-JO-NYE), born Hughgan Thompson in the rural community of Golden River, Above Rocks, St. Catherine, lives his life and create his music based on a quote he once heard from the legend Everton Blender; “blow your nose and not your mind”. A typical day in his life includes a trod to the spring, daily devotion, watering his garden and cleaning his surroundings before touching the streets and hitting the studios. The genre and root ofhis music is Roots Reggae. In mid 2008 he recorded the singles “No Weak Heart” and “Black am I” for Solid Agency and Mystic Gorilla respectively. In 2009, he released “Lion of Judah” with JNR International along with a JNR/Abajona mixtape, which was released in England to high acclaim. 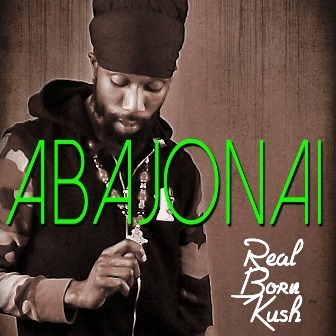 Few of Abajonai’s most memorable accomplishments in his early career are; getting the opportunity to record for Tuff Gong Records in 2001, being billed to perform with Sizzla Kalonji, Ernie Smith among other industry veterans and performing at H.I.S. Majesty Earth Strong in 2008. He also had the opportunity of recording for Downsound Records, Solid Agency, Jump Out Label and Caveman. In 2010 he released the track "Legalize The Herb" which has increased his international demand and reached over 600,000 views on Youtube. In exploring international opportunities he moved to New York in 2012 where he recorded for DPhil Productions and collaborated with producer Sidney Mills on the tracks "Real Born Kush" and "Essence of Music". Sidney is known mostly for his works on tracks for Ziggy Marley, Toots Hibbert, Sly & Robbie and Shabba Ranks. In 2013 he launched a weekly Roots-Reggae party in New York called 'Kush Wednesdays', an event which features international guest artiste and young musicians' talent showcase. He is currently prepping an EP for release in 2014 which is expected to feature some early released fan favourites as well as brand new materials.